Call Lori at: 607-746-2655 or send an email: BlackAndTanJacks@yahoo.com with any questions. If you're ready to submit your information and be contacted to discuss the possibility of an Aislinge Bray puppy please kindly fill out Reservation Request Form and submit. Were dressed as bride and groom and walked the streets of Rhinebeck, NY on the day of the Clinton wedding; date July 31, 2010. The dogs were very popular and many photos were taken of them. The next day their photos were in The New York Times and several other publications. 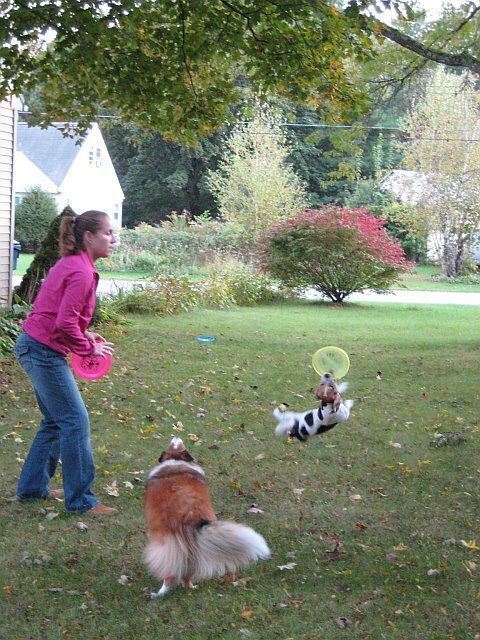 "The New York Times"
Pictured below is Laura with her dogs Ella and Empi. 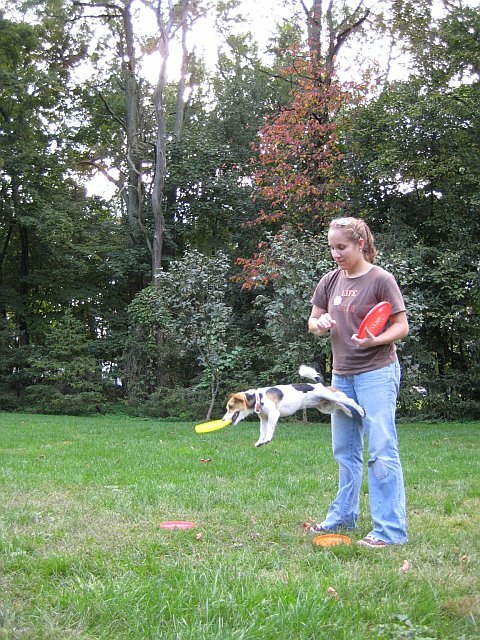 Ella is an Aislinge Bray Terrier and a little star who has been in several publications demonstrating her amazing tricks with a Frisbee. 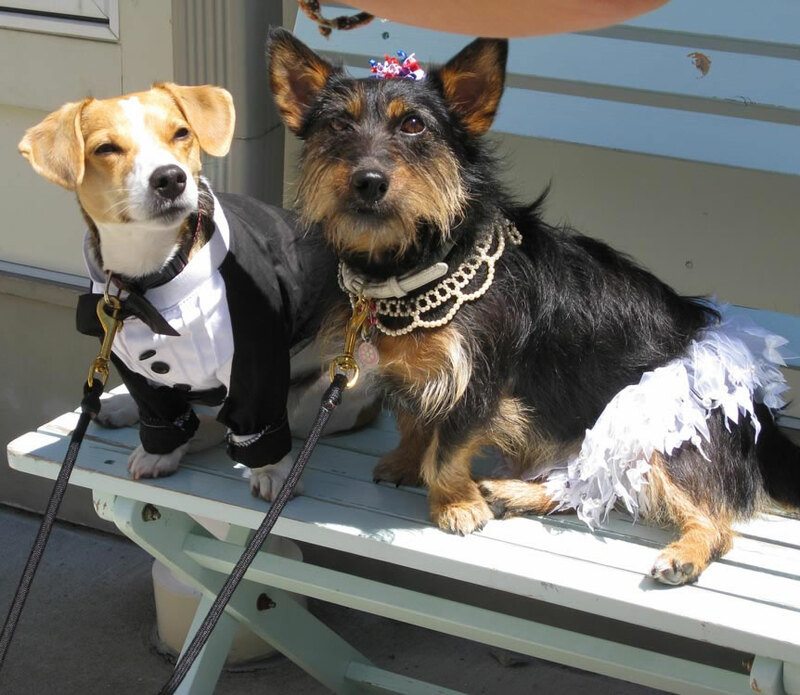 She was at Woofstock 2010 in this picture that appeared in the "Northern Westchester". 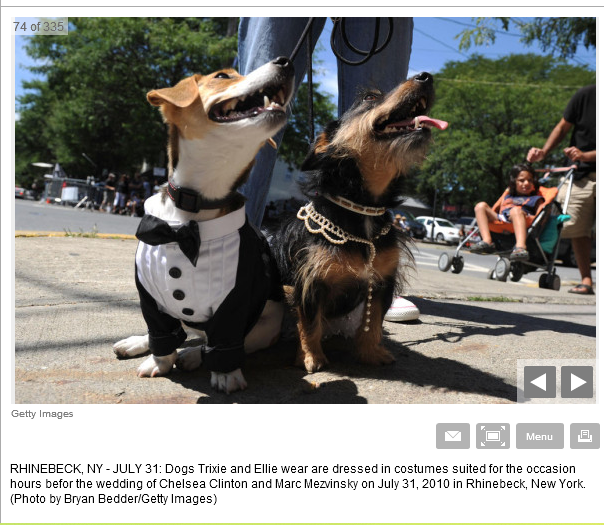 Ella was at Pet Palooza & Dog Walk in a picture that appeared in the "NORTHERN DUTCHESSNEWS & Creative Living".